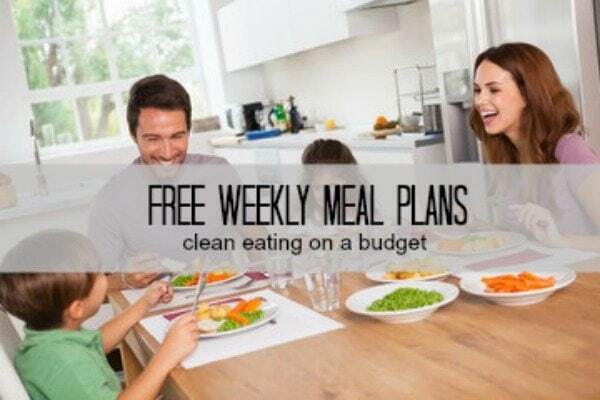 Meal Plans for a Budget: Free Weekly Meal Plans delivered to your inbox every week with family-approved meals that budget-friendly and made with clean ingredients. Do you want to feed your family more wholesome meals made with REAL food? Okay…how about saving your family some money at the grocery store? One of the greatest gifts I ever gave to my mom (according to her) is weekly meal plans. I sent her my meal plan that I followed for the week along with a shopping list and all the recipes that I used for the week. It was A LOT of work. And she loved it! And FINALLY I am able to offer YOU meal plans!!! YAY!!!! Best news–I am offering my subscribers to A Mind “Full” Mom Meal Plans for FREE!!! Because you are like my family and I am so happy to share this resource with you! All you have to do is sign up here and every Sunday I will send you a plan for the upcoming week, just in time to hit up the grocery store after Sunday afternoon. I promise NOT to overwhelm your inbox with emails either. Just my meal plans and one more weekly update with tips and tricks to continue eating healthy and staying on a budget! I have mentioned it before and I promise I will mention it again. If you want to be able to stretch your dollar and feed your family healthy meals on a budget, you must create a plan. They will be tried and true and have my family (or 3 out of 4 of our) seal of approval. Meal plans will be made with a budget in mind. Meal plans will utilize similar ingredients for the week to minimize cost and food waste. No recipe will have hydrogenated oils, high fructose syrup, or MSG. Sign up HERE and get your meal plans each week. Planning meals for a week and shopping for those is such a time and budget saver. I started that at the end of 2014 and am hoping to keep going with that. I hope you stick to your goals. The amount of time, money, and sanity I save is amazing! I would like to have the week’s worth of meal prep ideas! Hi Mandy–you can sign up right here: https://mailchi.mp/amindfullmom/clean-eating-meal-plans and every Saturday a week’s worth of meals will be delivered to your inbox. Hello! I love your meal plans but I’m wondering if you have them archived anywhere on your site? I like to go back and search them. Thank you! I am so glad you love the meal plans Marti. Unfortunately, they are too large to house on the blog, but I am looking into bundling them together for purchase. But I will keep sending them to my subscribers for free.